The Football Front: What next for Liverpool? 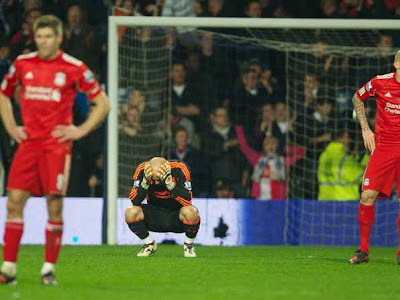 Another game for Liverpool in 2012, and another defeat for Liverpool. That’s been sequence this season for Liverpool. Their defeat in the FA Cup final against Chelsea was the defeat which confirmed Liverpool’s season as a devastating disappointment. And let’s be honest, Liverpool at times this season have been lacklustre, woeful and embarrassing to the clubs faithful supporters. But it’s been an odd season for Liverpool supporters. Indeed, the club reached two cup finals and they did break the club’s trophy drought which had covered a shadow over the club and symbolised Liverpool’s decline. But at the same time, it’s been a forgettable season for Liverpool fans. It’s been a season which has left them with more questions than answers as the season has progressed. One of the most pressing unanswered questions is that of the King Kenny Dalglish. Do Liverpool stick or twist? Do Liverpool keep him on his throne, or do the club attempt to remove him from his beloved palace. Indeed, there are a lot of rumours circulating than Dalglish will be ‘moved upstairs’ as it were given the vacant director of football role, while others feel he maybe shown the door as a whole. The money men at Anfield face some tough decisions this summer. But the situation at especially at Anfield is abundantly clear. Liverpool have been poor, utterly poor. I mean 6 wins at home at Anfield is unacceptable. No wait, it’s not even that, it’s an offensive record for one of Europe’s greatest clubs and what has been before and what the club stands for. But the poor record at home tells you a few interesting things. It tells you some of the players especially the new boys, have struggled to deal with the expectations, culture and demands of playing for a club where it expected you have to win each week. Instead of Anfield being a fortress, it’s become a ground where all the opponent has to do is virtually turn up, defend reasonably well and pick up the point on their way out. It’s been as simple as that for Liverpool fans. In fact, Anfield has become a points shelter for Premier League clubs. There is saying amongst football fans that, you know you’re having a bad season, if Liverpool beat you at Anfield. But coming away from performances on the pitch, Liverpool’s performances in the transfer market have been even worse. Whether Liverpool keep Dalglish, or someone else comes in, Liverpool must be more rational and shrewd in the transfer market. This season, thanks to the likes of Newcastle, the big boys in the Premier League have learnt a humble lesson. They’ve learnt of the best things in life can be cheap and cheerful. Newcastle spent a net of around £15mill. Yet the northern club now find themselves with two fantastic and profilc strikers in Papiss Cisse and Demba Ba. While in midfield, Newcastle boast the technically gifted creator Yohan Cabaye. All of whom, cost collectively less than Andy Carroll. While Liverpool with their best of British transfer policy, spent hugely on distinctly average players who haven’t really added much to the side. In fact, they’ve made Rafa’s signings at Liverpool look all the more allusive and crucial to the side. It seems a majority of Liverpool’s summer signings, bar Craig Bellamy and perhaps even Seb Coates, have all fallen for the big club – little club syndrome. Yes, that syndrome. The one where the players are amazing for the respective smaller clubs, but when the big fish goes to the big pound he is nowhere to be seen. But you can’t argue, the crazy valuations placed on top of their heads has not helped either. I mean, if you splash £19million on a winger, you expect a few goals and a few assists. But it’s not happened. At all. The price tags on these new players have been like big rocks being placed on their backs in the blazing sun. They can try their best, but everyone will point out, ‘that isn’t £19million worth of quality.’ The fee that brought them to Anfield is constantly reminded to not only them but to the coaches and directors. It seems Damien Comolli paid the price for splashing out insane figures for average players. Perhaps this is a sign, the powers that be at Anfield don’t want the same mistakes to happen again. There has been a lot of talk amongst Liverpool fans of whether Liverpool should sell the likes of Downing, Henderson and the other new buys. I firmly believe the new players deserve another chance. Sometimes, a second season can do the players the world of good. The pressure of not being the ‘new kid on the block’ could take away some of the pressure on them, also more importantly, chopping and changing will not help Liverpool move up the table. If you look at the Liverpool team of 08/09, when they finished second, the spine of the team had been at the club for three years or more. It takes years to build a great competitive team, ask Fergie, ask Arsene Wenger and heck as Pep Guardiola too. Liverpool are in the stage of forming and developing. And they won’t move out of that stage if they keep changing managers and players. That’s also why I think Dalglish should stay, so long as the players still believe in him. For me, Liverpool seem to be trying to implement a pass and move type of game. And for most of the season, it hasn’t worked for them. But when it has, Liverpool have at times been unplayable and if the finishing had been better, Liverpool would certainly be higher up in the table. But with astute additions, Liverpool have a good chance of making progress. But it is imperative Liverpool get their signings right this summer. Liverpool are currently feeling the consequences of selling very good players and replacing them poorly. Is it really surprising Liverpool have struggled to dominate midfields without people who can effectively play in-between the lines like Raul Merieles? Success does not happen over night. 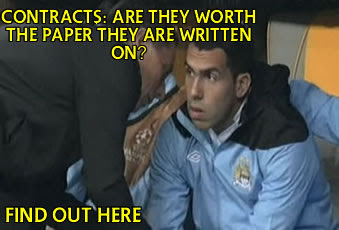 Ask Man City, ask Chelsea. After years of heavy investment, Man City now only find themselves on the brink of winning the Premier League title. While Chelsea after 10 years of the Abramovich era find themselves only in their second CL final in their history. Liverpool need to be patient, stability is the clubs best answer. And the club are fortunate in the sense they have a man who is undeniably just as determined as the fans to be successful. 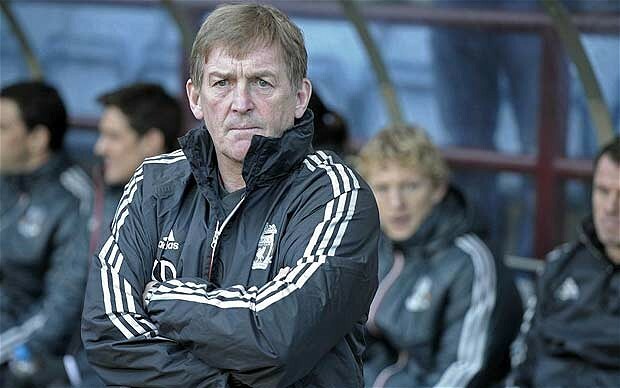 While some managers may get their heads turned by offers elsewhere, Dalglish isn’t one of them. He has unfinished business at Anfield. And if anything, this season has given him even more unfinished business. But he must get it right this summer not only in his transfers, but his tactical decision making, in another summer of change for Liverpool. The team need carry on playing with the same methodology and the players must look to further establish a greater understanding. The cup final against Chelsea was a prime example. The reds played with little cohesion and struggled to even get into the Chelsea half in the first 60 minutes. Liverpool had no penetration, no idea and no connection between the midfield and attack. 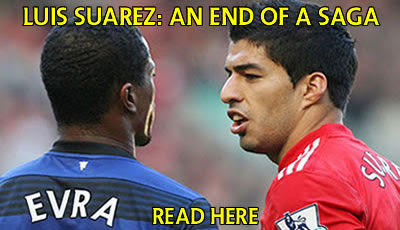 Meaning their most threatening player Luis Suarez was left to feed off scraps. This summer is huge for Liverpool. The club is at a cross roads. The right decisions could see them move right up the table next season. While the wrong decisions could see the club fall even further behind. To me the Kenny is the 15 x more good than him. so lets wait for the betterment.